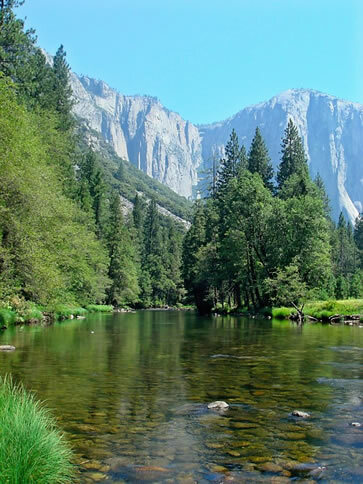 Spectacular scenery and thrilling activities to keep older children and teens engrossed, Denise Hummel discovers the best of California on a road-trip designed around luxury hotels, fantastic food, memorable adventures and family bonding. Travelling with a family of growing children, it can be tricky to balance what you�d like from a vacation, with things that they would enjoy. It takes a bit of research to come up with a menu to keep the whole family happy: white-water rafting, tide pools, spa treatments, para-sailing, mountain-biking, gourmet food, mountains and beaches, can all be encompassed on one trip, with a bit of planning. Fortunately for me, this itinerary was so engrossing, that even my young teenagers couldn�t resist. All I had to do was show them a few photos of the water sports and other sights and experience that awaited them, and they signed on to the Denise Hummel California Road Trip Extravaganza, early admission!! This stunning ski resort in the Sierra Nevada, makes a great summer destination too, with mountain bikes instead of skis providing the speed and thrills. A natural paradise, with waterfalls to marvel at and pristine waterholes to swim in. All the thrills of watersports on tap and luxury accommodation with awe-inspiring views. White-water rafting, parasailing, jet-skiing may mean that your family is reluctant to leave this delightful spot. A spot of city sophistication added to the mix for a balanced vacation, with a baseball game to keep the kids entertained. Picturesque sea-side stay with a renowned aquarium and kayaking, as well as night-time mini-golf for the kids and hotel with stunning spa to relax and pamper the adults. Beautiful coastline scenery, dolphins and seals, tide pools and a trip round the wineries. A last blast of adrenaline with ATVing on the sand dunes and some fishing to calm down the pace afterwards. Home again with great memories of a fine family adventure.